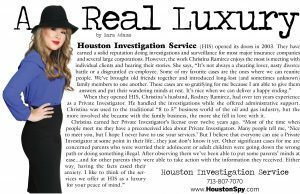 Houston Investigation Service, LLC is a full service private investigation company insured and licensed by the Texas Department of Public Safety Private Security Bureau. All investigators have a minimum of five years’ experience, properly licensed and well supervised. Since January 2003 HIS has established a reputation within the industry for providing a degree of unmatched excellence in the quality of its work product and services. 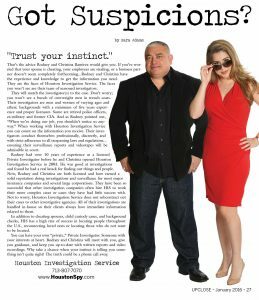 We are capable of conducting investigative work throughout the entire state of Texas. 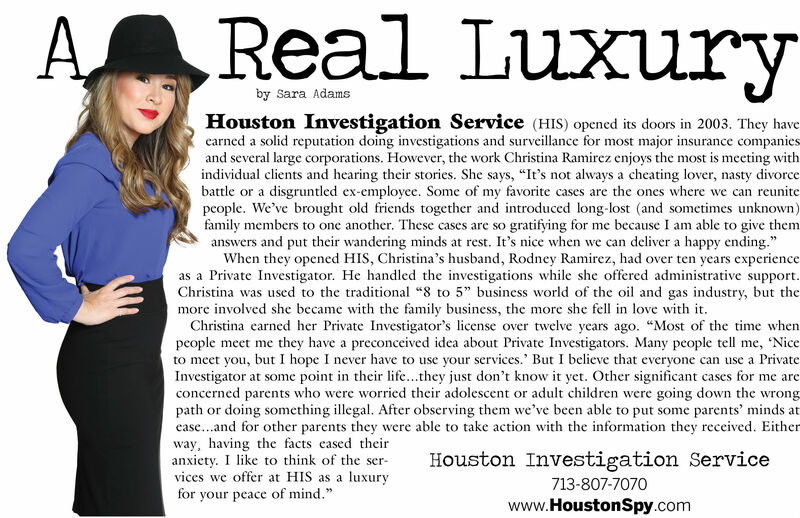 In fact other investigation companies often hire Houston Investigation Service, LLC to work their more complex cases and cases that they have been unsuccessful with. Texas Department of Public Safety Private Security Bureau.